Miku!!!. Ta-da!. HD Wallpaper and background images in the 마인크래프트 Pixel Art! 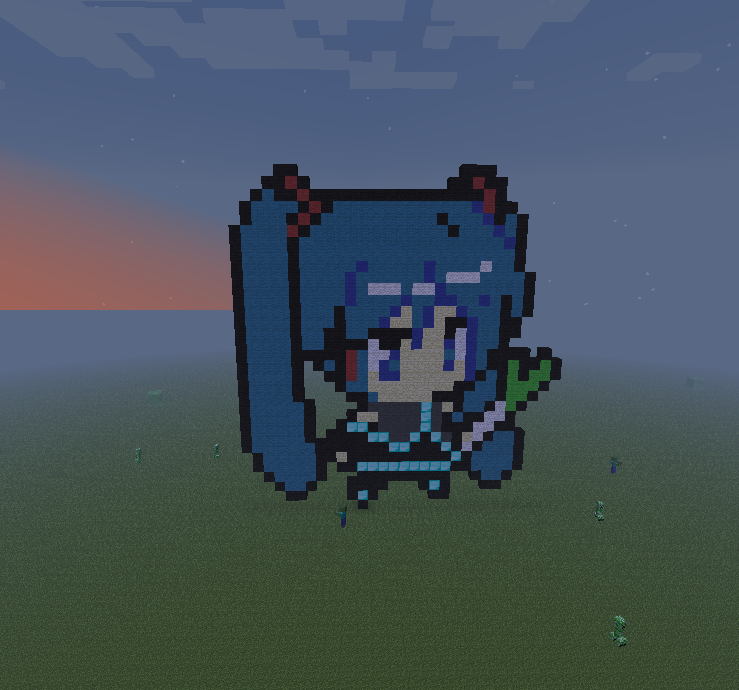 club tagged: pixel art minecraft vocaloid. This 마인크래프트 Pixel Art! fan art might contain 비즈니스 지구, 다운 타운, and 도심지. This is just too awesome. 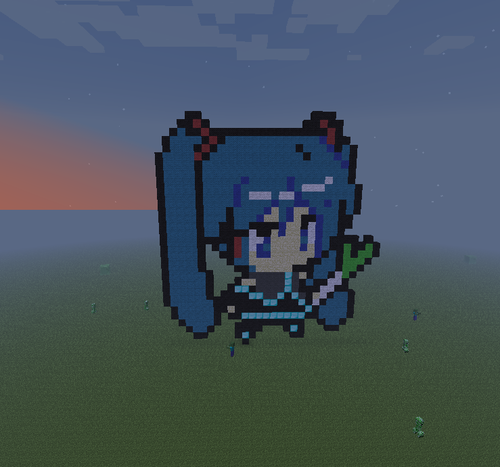 I'm listening to Miku, wearing my Miku shirt, and now I see Miku minecraft pixel art! No problem =D I had to find a pic that would be easy enough to copy. XD Just had to figure out where the blocks went. That's why she has the leek.